Why is it that you want to join? : Because I enjoy playing with a team and not a bunch of randoms. Welcome to the AUoD mate! welcome man, add me on the PSN, the account name is Chlippry. what other games are you looking at getting? I should get W@W soon enough, although there is a chance I won't get it. welcome mate, you can add me I play W@W but mostly just for zombie mode. Currently Playing : I IS A PSYCHO! Hey mate. Welcome to he AUoD website. I am the site owner and administrator BAS. Please, if you haven't already, read the site rules and FAQ. 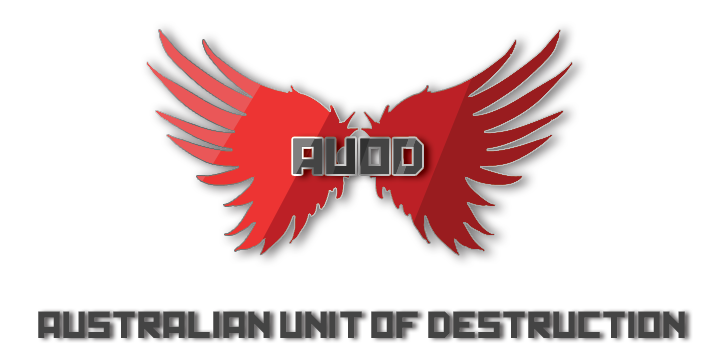 Also, make sure you take the time to read the AUoD terms dictionary too, as there are several words we use out of context for the hell of it, just because we enjoy being crazy! Anyway, welcome, and enjoy the stay man. -BAS, Cheif admin, site owner, salty babe.